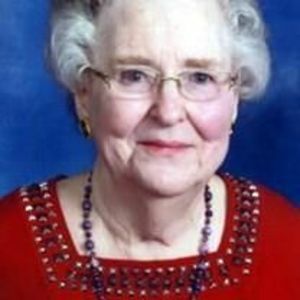 Sara Margaret Harrington Raynor died on December 19, 2017. Born to Hoyt and Lutie Harrington of Fairmont, NC on October 11, 1934. Sara loved her family and was a long time member of Highland United Methodist Church. After an impactful 33 year career as an educator, she retired in 1989. She was preceded in death by her parents; her husband, Louis E. Raynor, Sr.; her son, Louis E. Raynor, Jr.; and her brother, James E. Harrington. She is survived by her family: son, Hurley Raynor (Laura), Donna Raynor, Jane Raynor; her daughters, Ginny Brown (Jimmy), Melanie Lawson (Doug) and Sara Dail (Rick); her grandchildren, Hurley Raynor, Jr., Laura Martinez (Matt), Claire Harrison (Lee), Jessica Brown, Grace Brown, Raynor Dail, Connor Dail; and her great- grandson, Robert Martinez. A memorial service to honor her life will be at 3:00 pm on Friday, December 22, 2017 at Highland United Methodist Church with a reception and visitation following at the church. Burial will be private. In lieu of flowers, the family requests consideration of donations to Highland United Methodist Church, Olivet United Methodist Church in Marietta, NC, or Transitions LifeCare. Arrangements by Brown-Wynne Funeral Home, Saint Mary's St., Raleigh.